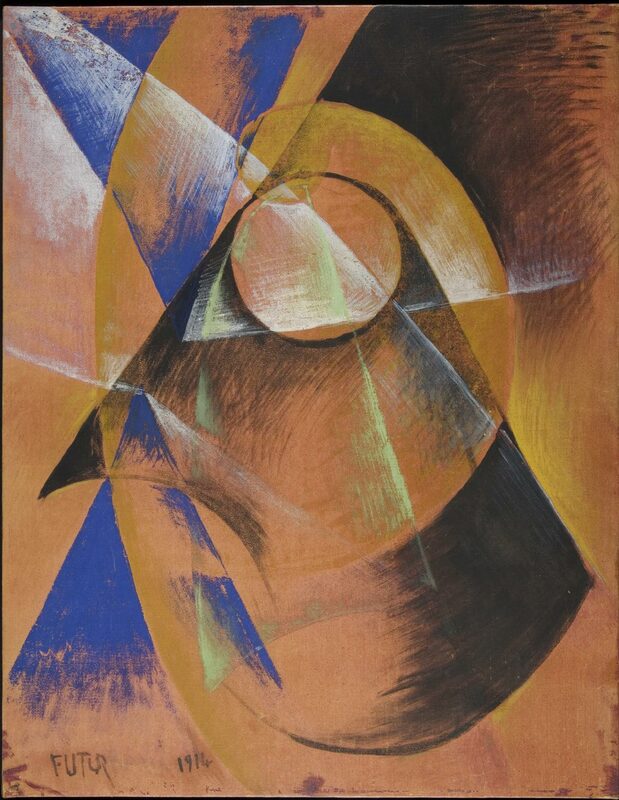 This large Futurist drawing belongs to an important series of a dozen or more paintings and drawings made following Balla's observation, probably using a telescope with smoked lenses, of a partial eclipse of the sun by Mercury on 7 November 1914. Here the larger yellow mass of the sun is crossed by the smaller orb of Mercury, with slashing diagonal rays of white light, segments of bright blue sky, and the greens and blacks of unknown optical effects. The dominant peach tone, now faded, was once a stronger reddish purple color.